Horses are like people; they tend to get droopy with age. 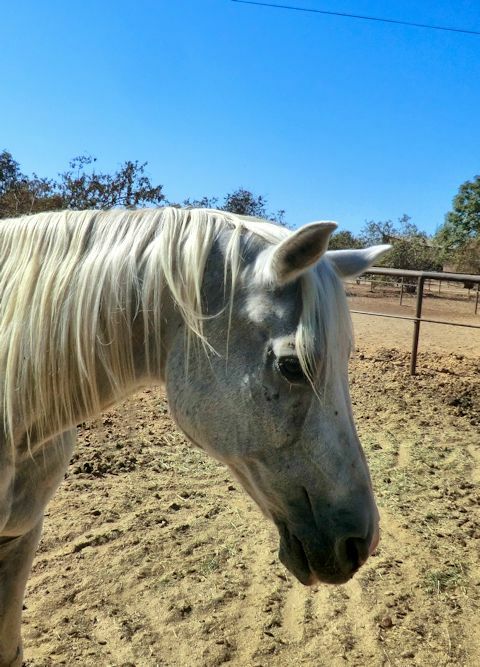 Old horses get sunken eyes, saggy lower lips, and grey faces. The muscles fall away from their backbones, and their bellies expand. Some, however, like some fortunate people, retain beauty even into their great age. Arabs, especially, may show the graceful bone structure of their faces even as their bodies fail them. This old grey gentleman has been up in the sick pen for a couple of days with a touch of colic. He’s feeling much better now. 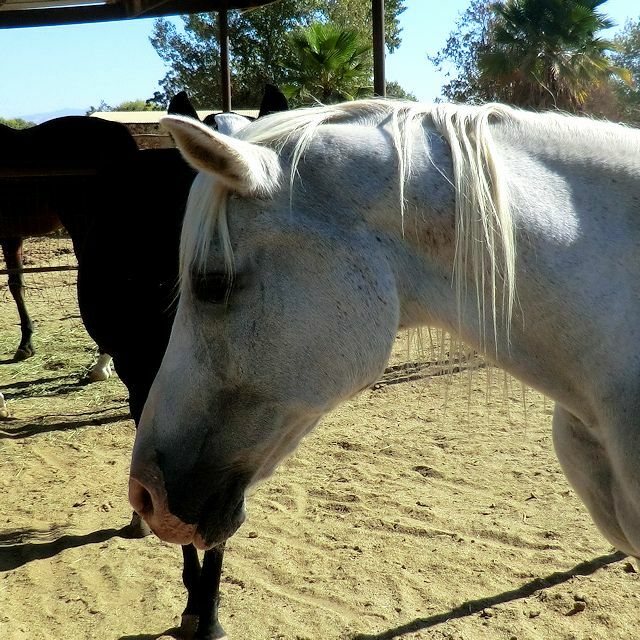 As I put him back in his own pen, the morning light accented that beauty that transcends age. He’s got a much younger girl friend, too. (Strictly platonic, of course.) She was certainly glad to see him back!